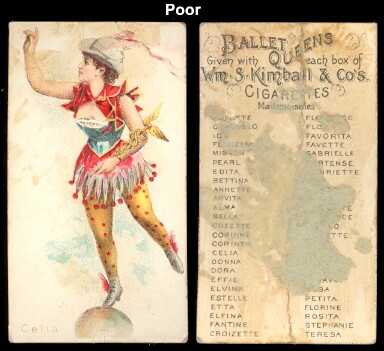 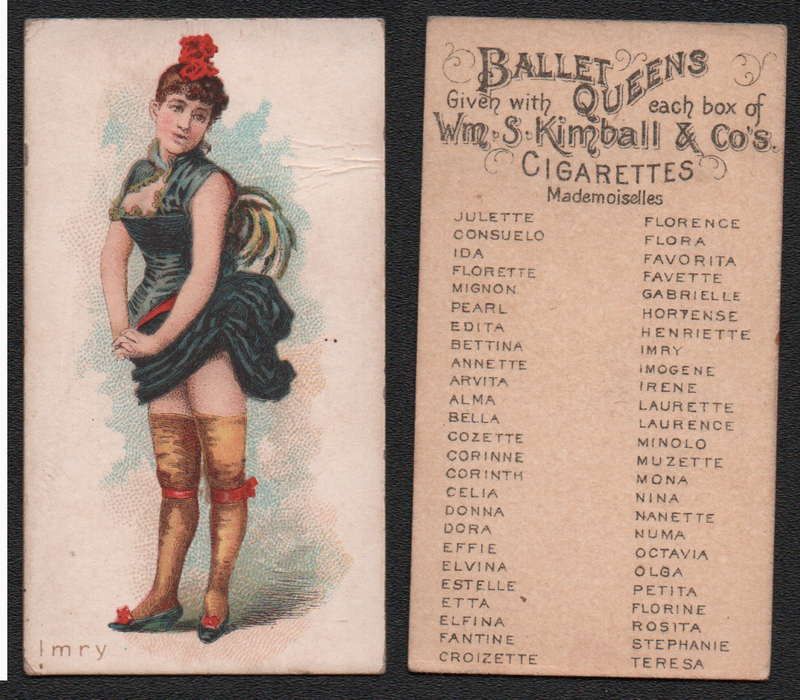 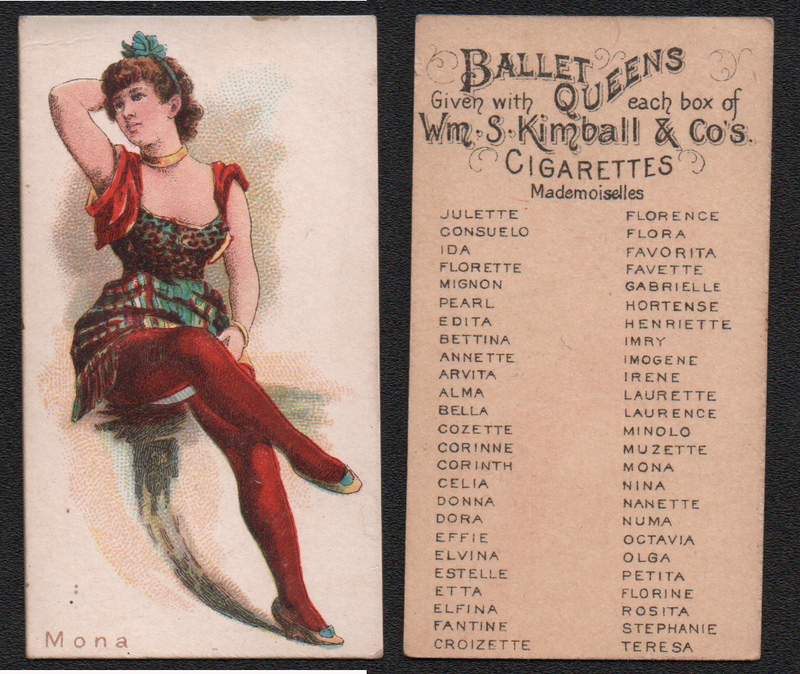 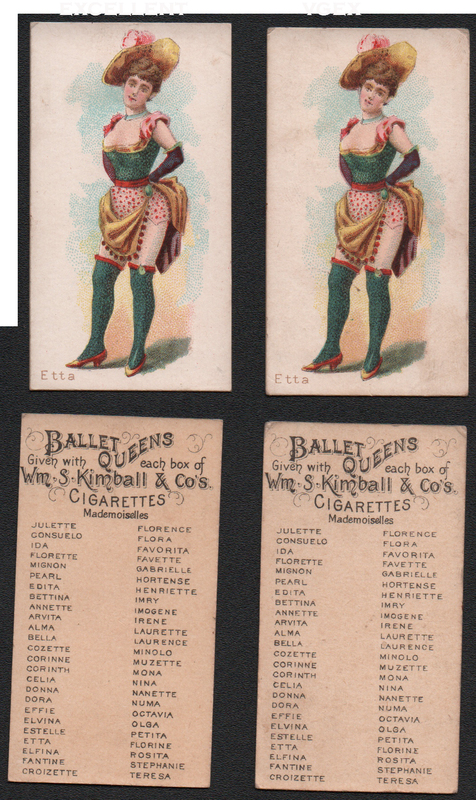 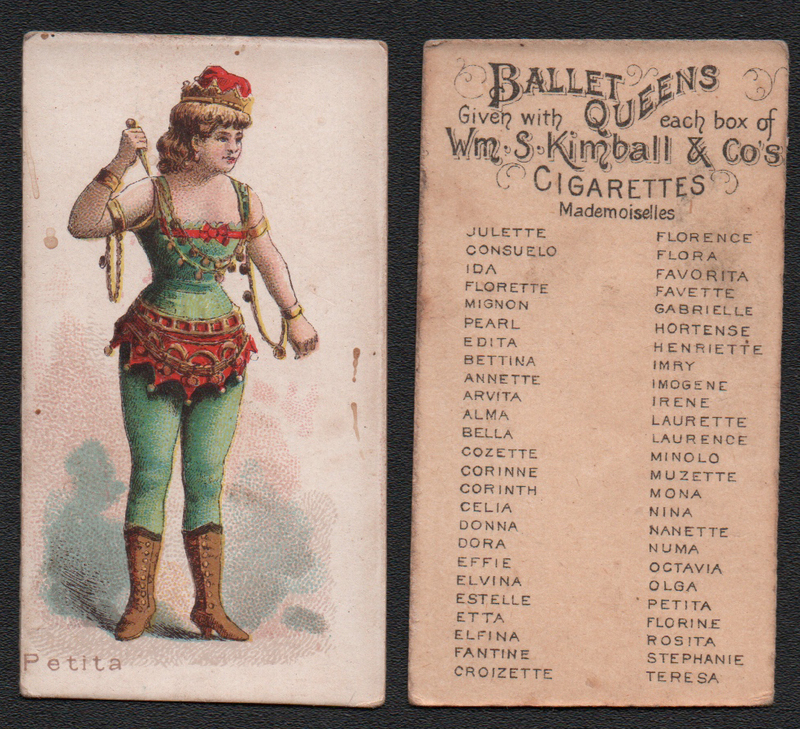 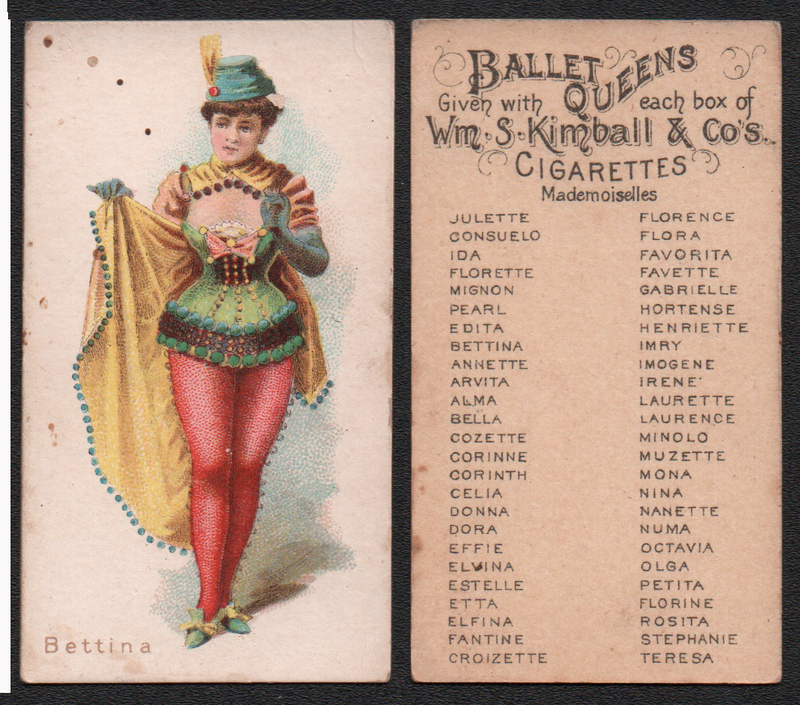 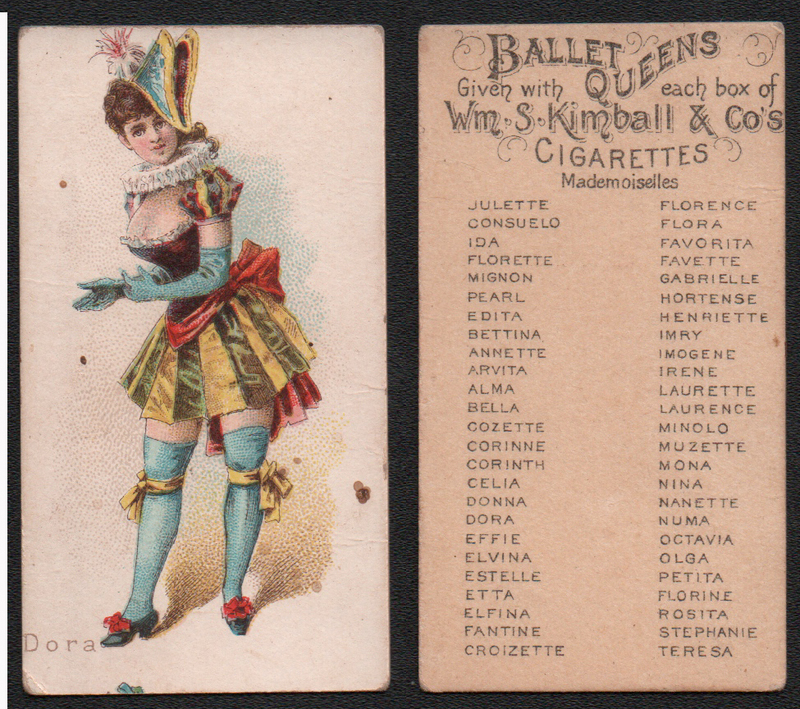 This Kimball set, issued in 1889 shows scantilly clad "ballet" dancers. 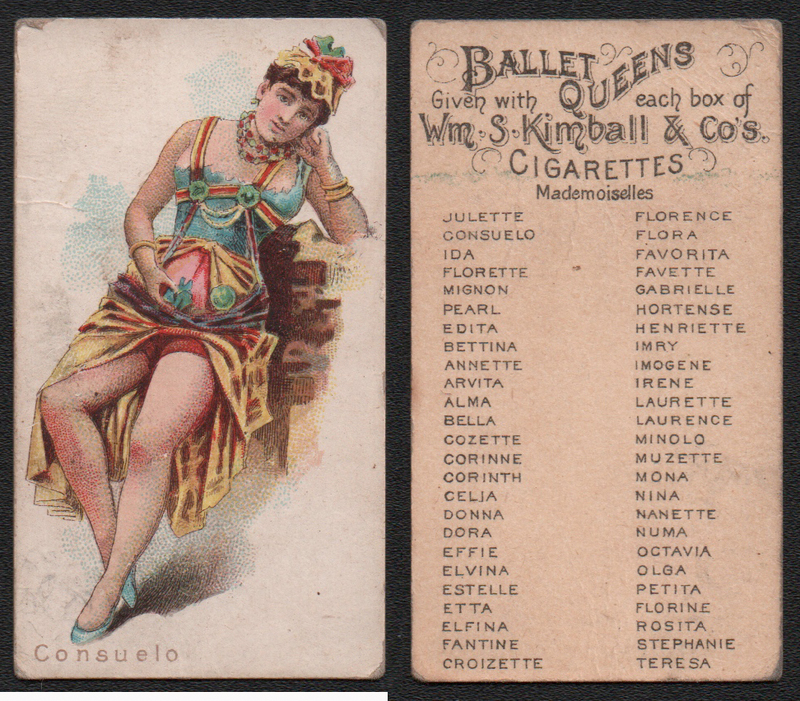 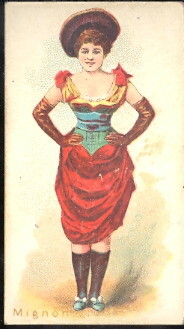 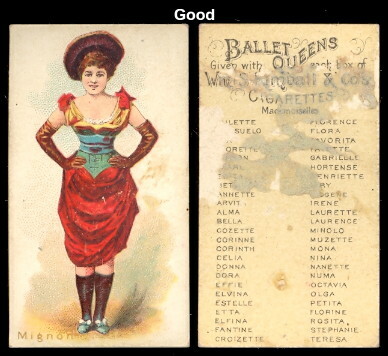 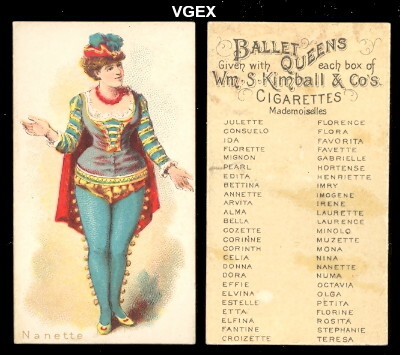 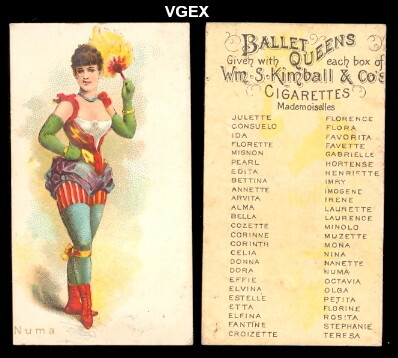 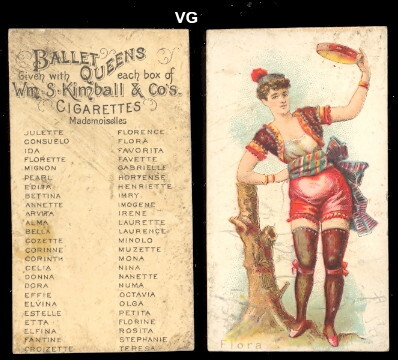 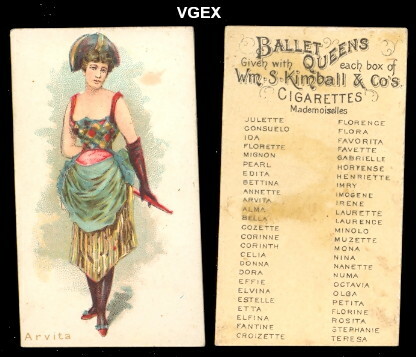 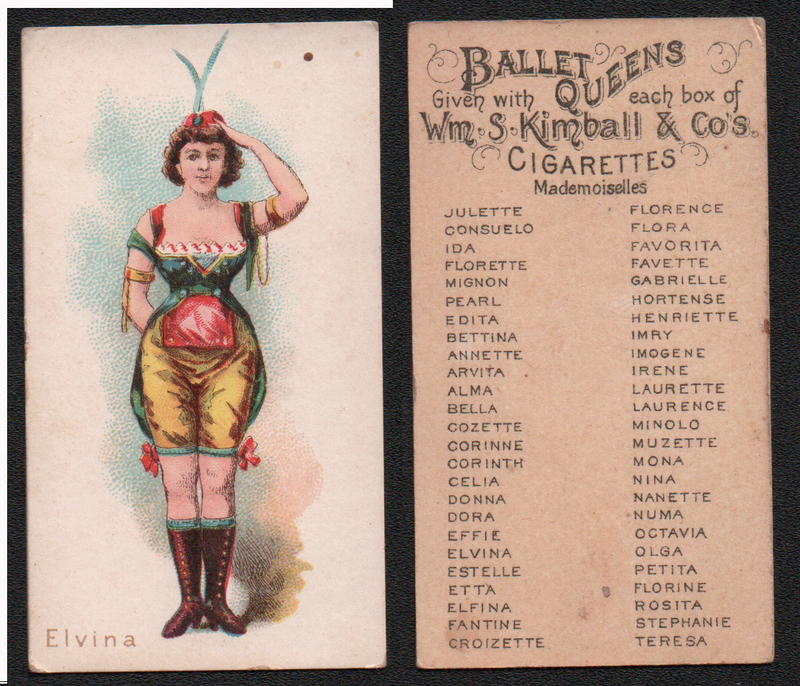 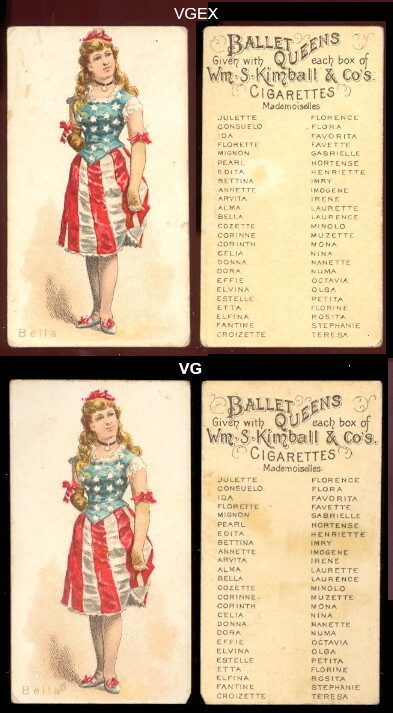 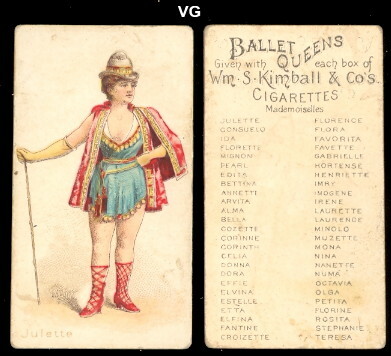 The first name of the woman appears on the front of the cards. 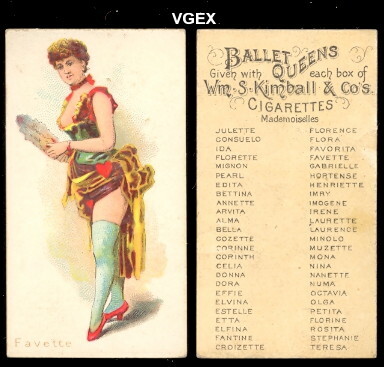 These cards measure 1-1/2" X 2-11/16" and there are 50 in the series. 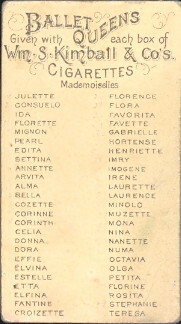 They have an unnumbered checklist on the back along with the name of Wm. 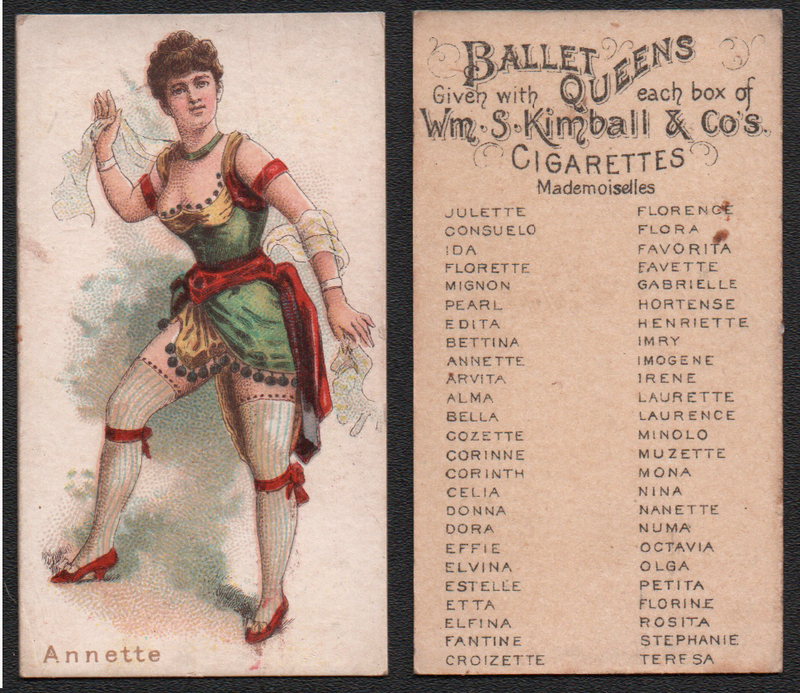 S. Kimball & Co's cigarettes.